This month has seen it’s fair share of new peanut butter products which means so far this is the best month ever! 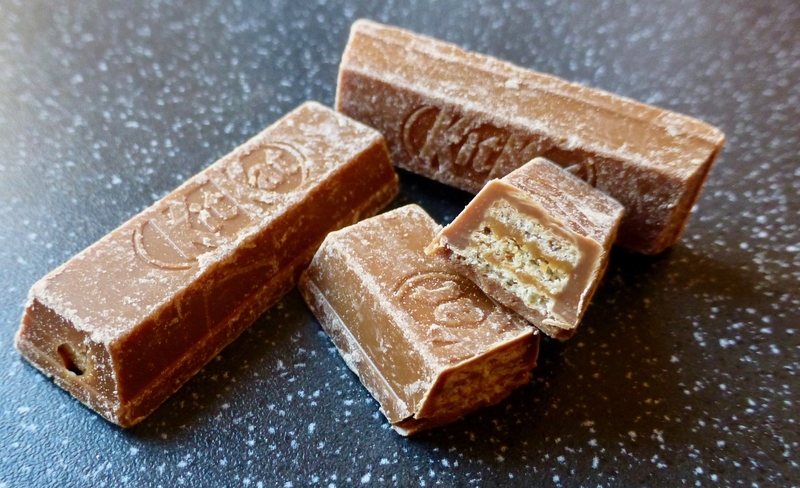 First off we had the scrumptious Kellogg’s Peanut Butter Clusters, then the questionable Cadbury Dairy Milk Oreo Peanut Butter and now it is Nestle’s turn with KitKat Peanut Butter Bites. When the miniature bites came about I did not opt to try the KitKat original as in my eyes you may as well just eat a Kit Kat, that said peanut butter is a complete game changer. You’ll recall that we already have the Peanut Butter KitKat Chunky which is pretty epic as it stands and was by far the worthy winner, but I have always said wouldn’t it be good if it came in KitKat finger size. 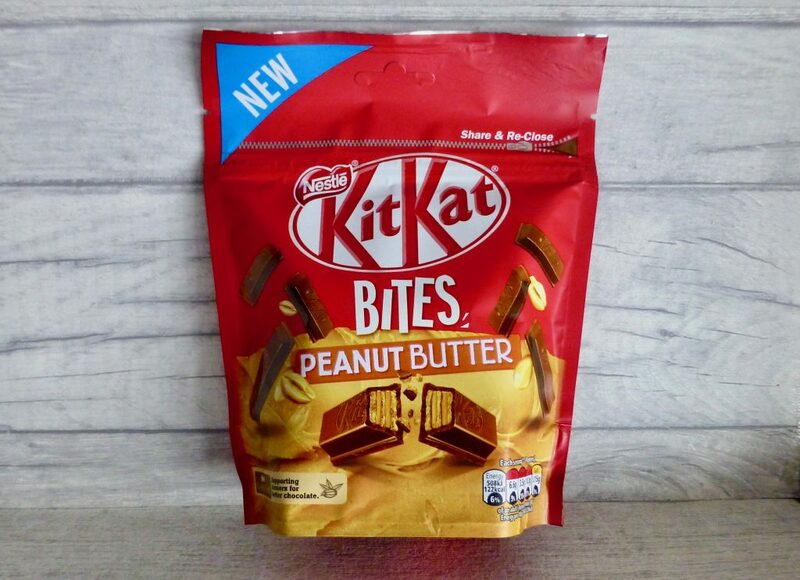 Well Nestle have clearly listened and KitKat Peanut Butter Bites have been born, and hit the shelves this month. I take no credit in this find, once again my super-dooper cupcake over at Reaching for Refreshment came to the rescue and found these beauts in The Co-Op for a juicy £1.00. Opening up the pack and taking a whiff, the peanut butter was intermingled with the sweet smell of chocolate. Being called bites I really thought these would be miniature, a third of the size at least, but alas they are just a fraction stubbier than a standard KitKat. Per 4 pieces: 122 kcal, 3.5g sat fat, 10.8g sugar, 2.5g protein. If you get up close and personal you can see the distinct layers of wafer and peanut butter filling. The chocolate coating provided an incredibly sweet, thick coating that stuck to the inside of your mouth. I do find Nestle chocolate a little on the sweet side in comparison to Dairy Milk and generally not as good. The wafer gave that crunchy element that made way for the thin double layer of peanut butter which was more detectable in taste than texture. The peanut butter was evident, not as strong as a KitKat Chunky but equally as delicious and moreish and as a whole made for a delicious PB nibble. As a whole these KitKat Peanut Butter Bites are totally worth it and are a welcomed newbie to the KitKat family. I think a KitKat Chunky PB slightly pips it to the post as these Bites are exceptionally sweet and did set the nashers off a little. That said pop on the shopping list as they make a good alternative nibble, but as for sharing I am not sure what that means! Ooh!! Cannot wait to try these!! 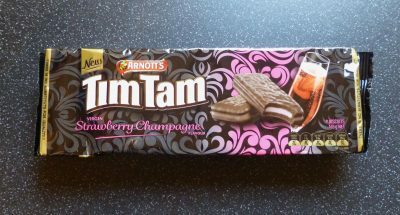 Ooooh I’m a bit disappointed I didn’t find these before leaving the UK, though with their smaller size (and thus less room for peanuttyness) I can imagine them being on the sweet side. I like the trend for these sharing / big bags of chocolate things, but I always think it’s a shame from a product visual perspective that by being together in a bag, they bash each other and come out looking a little bit like they’ve been in a war.